Basseterre, St. Kitts, October 3, 2017 (SKNIS): Dr. the Honourable Timothy Harris, Prime Minister of St. Kitts and Nevis, at his Monthly Press Conference held on October 03, noted the federation’s generosity to the neighbouring islands affected by Hurricanes Irma and Maria that devastated some Caribbean countries in September. “St. Kitts and Nevis has been excellent in its generosity to our neighbours,” stated the prime minister, while noting that the government has offered monetary and in-kind contributions to Dominica, BVI, Antigua and Barbuda, Anguilla and St. Maarten to aid with damages left by the recent storms. The prime minister noted that hurricane relief funds are already “earmarked” for Dominica, Anguilla, Antigua and Barbuda and BVI with the Eastern Caribbean Central Bank (ECCB) where accounts are held for the respective islands. He also stated that preparations are being put in place to disseminate funds to French St. Martin and Dutch St. Maarten. He also added that as of September 27, 2017, 44 shipments have been made to the affected islands. These shipments included food, water, juice, clothing and toiletries and were sent to Anguilla, Saba, St. Maarten/Martin, St. Barths, St. Thomas and Tortola. Dr. Harris further stated that the federation has also accepted thus far 295 passengers that entered the country by sea who were impacted by the hurricanes. He noted that these passengers were nationals of St. Kitts and Nevis, USA, Netherlands, India, France and Guyana. 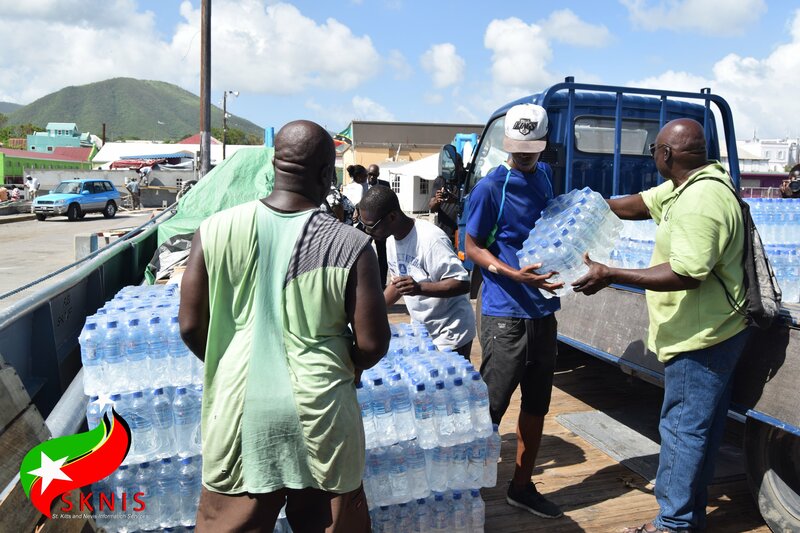 He noted that the recent devastation experienced by the neighbouring islands “remind us that in real terms we are on our own,” as he stated that the Federation of St. Kitts and Nevis does not have special association for aid like some of the other affected islands. “There is no Mother Britain, or any other country with which we are in association that binds us and obligates that other country to help us,” he added. Dr. Harris commended citizens and residents for their “thoughtfulness and generosity” for the support that they have been giving to the other islands.